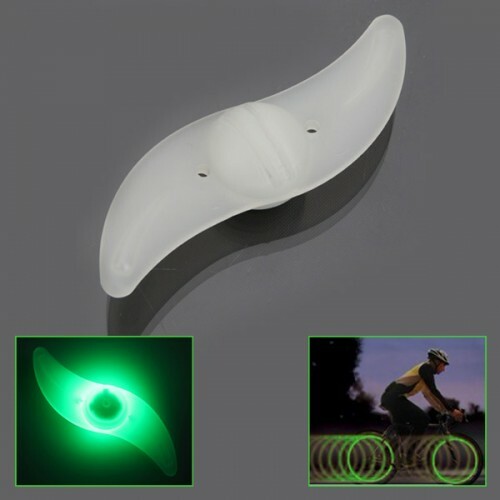 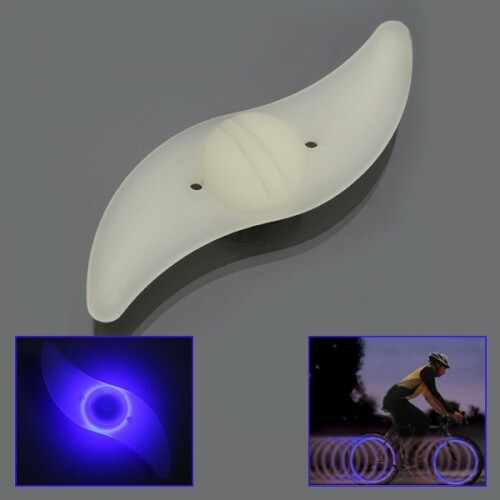 The LED Bike Wheel Light is easy-to-attach, eye-catching way to increase visibility and safety when riding your bike in the dark. The LED device has ON/OFF, steady glow and continuous flash mode. 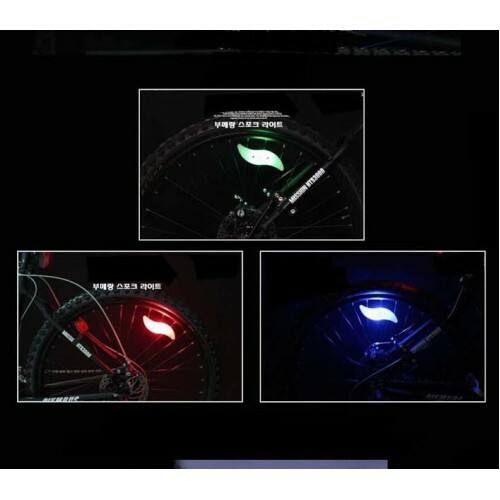 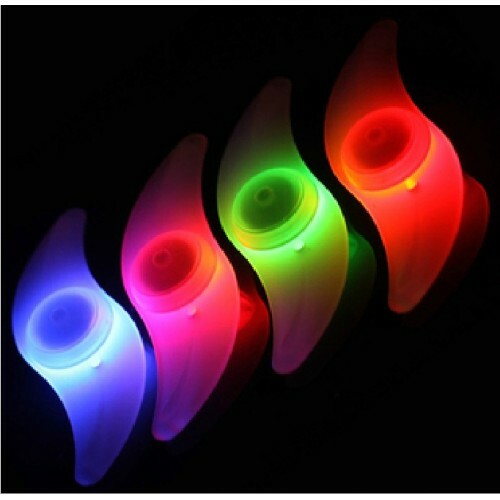 The silicone cover make it weather-resistant and available in three bright LED colors.